Collagen + powdered glucosamine - Natural dermocosmetics and dietary supplements. Collagen creams. 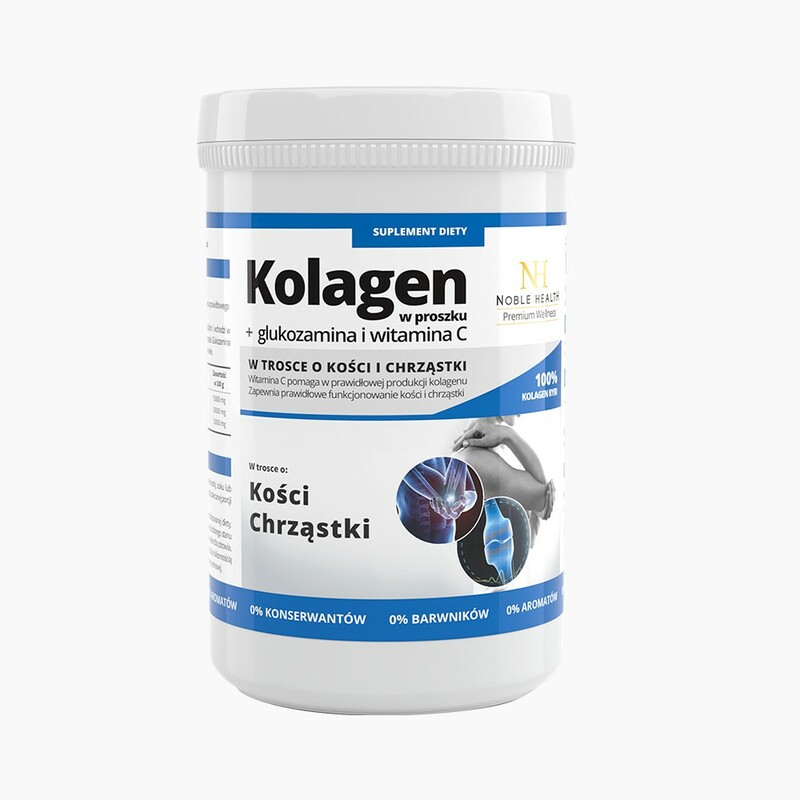 Powdered collagen + glucosamine and vitamin C is a product for people, who want to take care of their bones and joint cartilages. Glucosamine – is naturally present in a human’s body and it is a part of joint cartilage matrix. 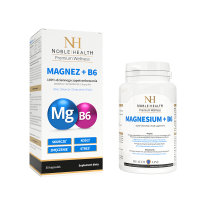 It is an essential element of bones and cartilages. Vitamin C and fish collagen – stimulate the proper production of collagen, which is responsible for e.g. functioning of bones and cartilages. TAKE CARE OF YOUR LOCOMOTOR SYSTEM AND CHOOSE POWDERED COLLAGEN WITH GLUCOSAMINE AND VITAMIN C! 1. Who should use the product Powdered collagen + glucosamine and vitamin C? 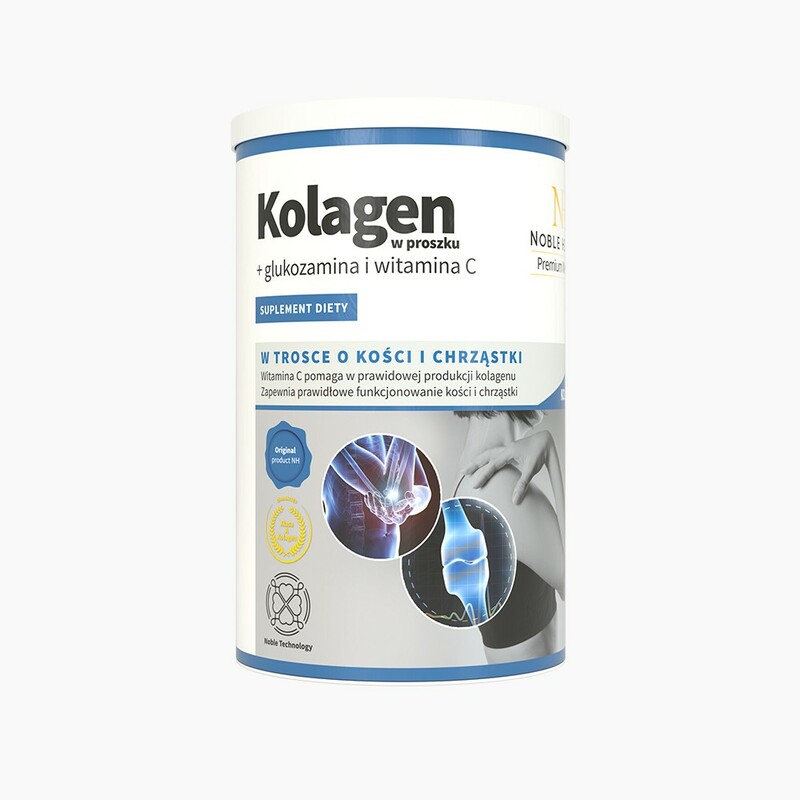 Powdered collagen + glucosamine and vitamin C is a food supplement designed for people, who want take care of their bones and joint cartilages. This product does not contain preservatives, artificial colorants, and aromas, therefore you can use it without fear. 2. What are the ingredients of the product Powdered Collagen + glucosamine and vitamin C? The product contains collagen from sea fish skin, glucosamine sulfate as well as ascorbic acid (vitamin C). 3. How does ingredients of Powdered collagen + glucosamine and vitamin C work? The product’s ingredients take care of your locomotor system. Glucosamine is naturally present within a human body and is a part of joint cartilage matrix. It is an essential element of bones and cartilages. Vitamin C stimulates the proper production of collagen, which is responsible e.g. for functions of bones and cartilages. People suffering from kidney stone disease should be careful when using this product because of a high content of the vitamin. 4. How should the product Powdered collagen + glucosamine and vitamin C be used? The products should be taken once a day. Dissolve 2 level teaspoons of the powder (7 g) in a glass of warm water, juice, or a drink. You can also add the powder to your favorite yogurt or cocktail. The food supplement cannot be used as a substitute for a varied diet. A balanced diet and a healthy lifestyle are important for maintaining a good health condition. 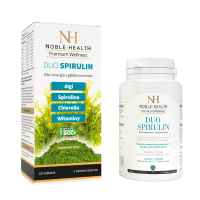 The recommended daily dose of the product ensures beneficial results for your health. 5. How to store the Powdered collagen + glucosamine and vitamin C? The products should be stored at room temperature, in a dry place. Keep away from small children. Keep in mind that vitamin C is sensitive to light and high temperatures. 6. What is the shelf life of the Powdered collagen + glucosamine and vitamin C? The product should be used within 30 days after opening. 7. What is the capacity of one package of Powdered collagen + glucosamine and vitamin C? One package of the product weights 100 g.
8. In what form is the Powdered collagen + glucosamine and vitamin C? 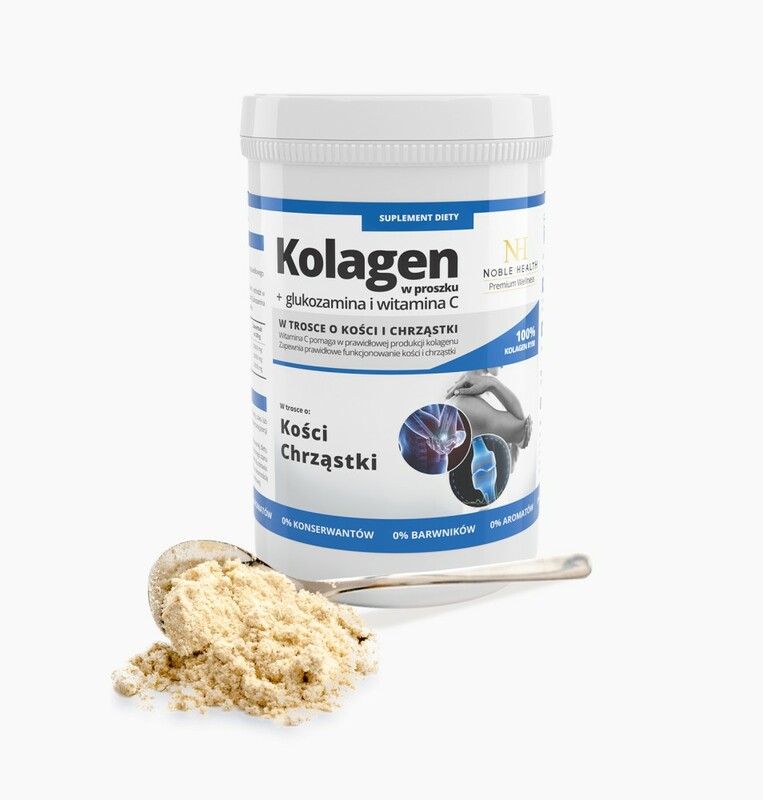 The product contains collagen in form of a hydrolysate. This does not only help your joints but also improves your skin. There are no pimples on my face! The results became visible after 2 weeks. I am still waiting for my skin to become firm because I have a bit too much of it after various diets and yo-yo effects, etc.. The taste is not so good, but the results are worth it! About my joints, well I am not sure because I'm 22 years old :D Anyways...this is an awesome product!!!! I suffer from joint pain for many years, but since I have started using this collagen this problem does not concern me. The results are magnificent and I recommend it to everyone who needs help with such problems. Until recently, my father complained about his joint pains and he did nothing about it. So I bought a few products from Noble Health for him and made my dad to use them. You know what? They helped! He had stopped complaining and moves better. It really saved him and he even remembers to take them regurarly. Now I am a happy daughter and definitely recommend these products to everyone. I run a lot and my joints could feel it. 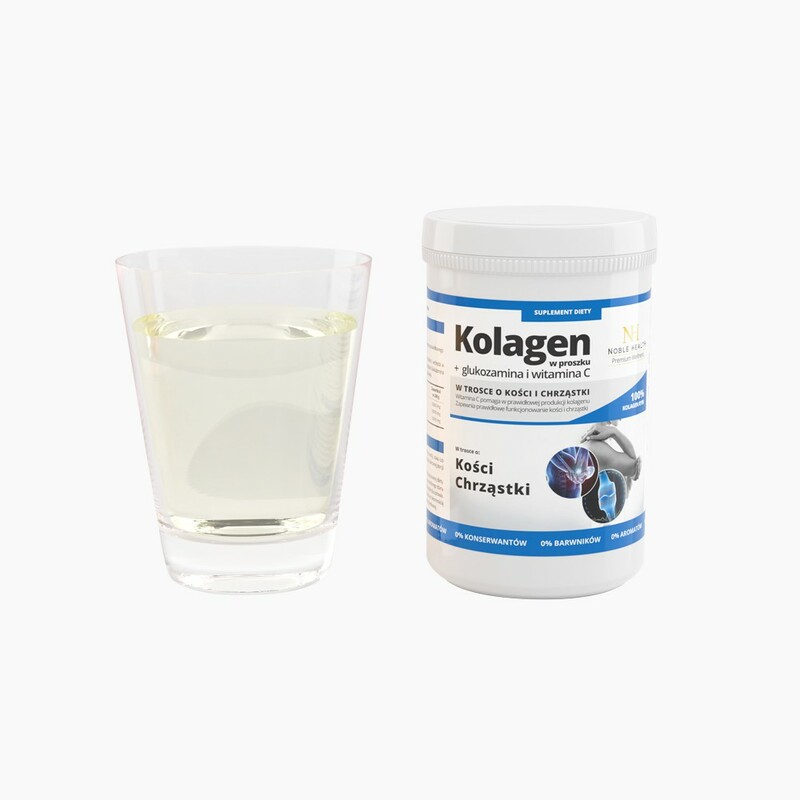 I apply collagen with glucosamine as a way to renew and regenerate them, even after heavy workouts is reliable! After the achilles surgery I had a problem to resume normal walking, besides rehab I got a recommendation for collagen with glucosamine and after 1 week I could see difference, I recommend to everyone, with little or big problem! Cool product, personally I often exercise and I've noticed in what condition my bones are now, I was just looking for something to improve it. I've been using the product for a week by now and I'm looking forward to the results. I'm optimistic because I already know the company and I have full trust in it. I recommend others to try.